CEDARVILLE — A member of the Cedarville University class of 2019 has already joined the ranks of the nation’s elite students. Lindsey Carroll, who intends to study computer science at Cedarville in the fall, scored a perfect 1,600 on her SAT last summer. Thanks to her perfect score, Carroll has been awarded multiple academic scholarships, including the prestigious President’s Scholar and Special Scholar Awards, which will cover the full cost of tuition at Cedarville. The average SAT score of an incoming freshman at Cedarville is 1,180, more than 100 points higher than the national average of 1,010. But Carroll is among an elite group nationwide that was able to blow past both of those scores. According to the most recent information from the College Board, which administers the annual college entrance exam, just 494 of the more than one million students who took the exam last year earned a perfect score, meaning less than one-third of 1 percent of test takers scored a 1,600. So why did Carroll, a native of Pinellas Park, Fla., choose Cedarville when she could have gone almost anywhere? Cedarville typically has one or two applicants each year who compile a perfect score on the SAT. 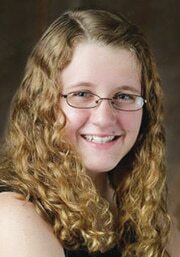 Not only was Carroll one of the few students to score a 1,600 on the SAT, she was also one of just 2,500 students nationwide to earn a National Merit Scholarship.